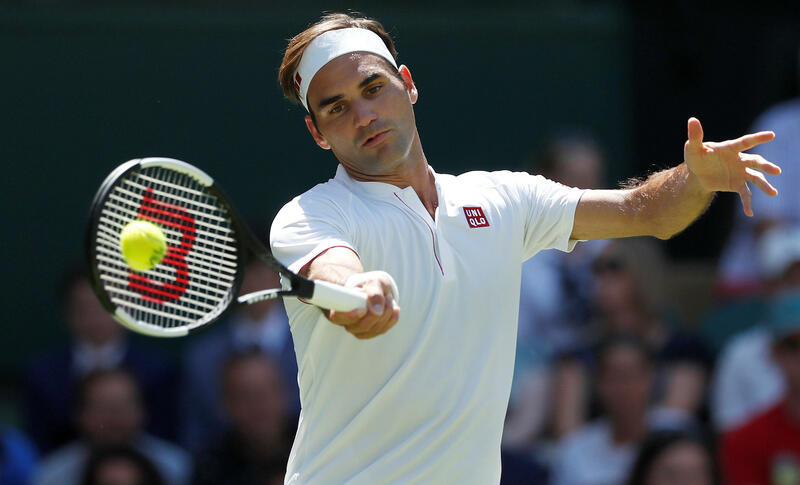 Roger Federer didn't need his initials to sign off on another masterful display at Wimbledon. He's hoping to get them back soon, though. The eyebrow-raising new look was a result of switching apparel sponsors to Japanese clothing company Uniqlo -- for a reported $300 million endorsement deal over the next 10 years -- despite the Swiss star's name having been synonymous with Nike ever since winning his first Grand Slam title at Wimbledon in 2003. And while the swoosh may be gone for good, Federer wants to reclaim his initials. One thing that clearly hasn't left him — even at the age of 36 — is his mastery of grass courts. Starting his quest for a record-extending ninth Wimbledon title, Federer looked as sharp as ever.